Chelsea Windows in one of Surrey’s major window suppliers. 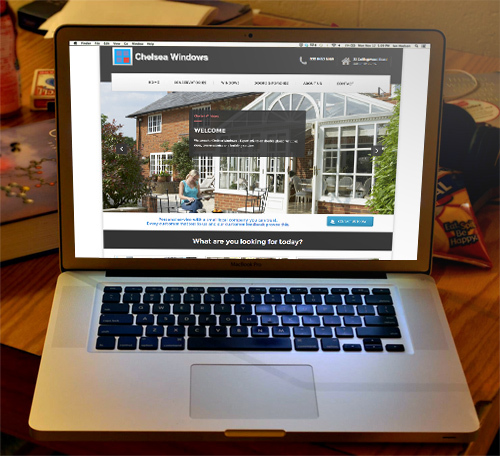 Chelsea windows required a new website, Their previous site was not user friendly, had no imagery and could not take customer quotes online. With the new and modern website created by Tekcabin, Chelsea windows is able to accept online enquiries and showcase their products. The website is fully optimised for all platforms which means that people can look and enquire whilst on the go. As many of their site visitors are ranging from desktop to tablet to mobile visitors, this was an essential part of the project specifications. Chelsea windows now enjoy high visitor to enquiry conversions, which allows them to increase their turnover.